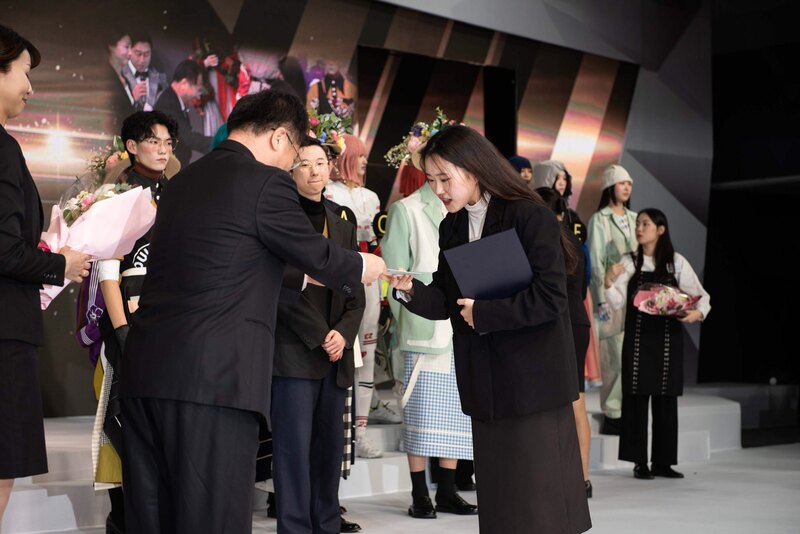 On December 5, 2018, Shin En-bin, a Senior, in the Department of Jewelry and Fashion Design at Hanyang University (HYU)’s ERICA Campus, received the Prime Minister Award (also referred to as the gold award) at the 36th Korea Fashion Design Contest. Q. How did you feel when you were announced as the winner of the Prime Minister Award? A. I expected that I would receive positive results based on the amount of time and effort I spent to design the outfits I presented at the contest. But nevertheless, I was very happy to receive the award, which was completely unexpected. Q. Can you explain how you came to participate in the contest and how it progressed? A. I was motivated to participate in the contest because of my study group. I met a designer in the group whom I really admired. He created his own brand called ‘KIJUN’, and I thought that it was cool that he had set his own standards like that. As for the contest, 61 participants were selected to compete in the first round, and later six people were selected among them to move onto the next. For the first round, I had to submit a portfolio within ten pages, explaining the concept and the design of my work. For the second round, I had to make and display five different clothes and explain their concepts and designs to the judges. The judges then evaluated our works through standards such as design skills and creativity, and they also looked into the capability of these products to be commercialized. Q. What was your inspiration behind the clothes and how did you overcome the challenges? mistakes. But I got a lot of help from many sources. The school provided me a laser cutting machine for free when cutting acryl. Since I major in jewelry design, I am capable of handing handle different types of materials. So, I came up with the idea of pasting hairpins on a fringe-dress or using 140 boards of FOAMEX to cut out the shape of a flower. On each cut-out, I also individually drew flowers on it. Q. How would you like to advise HYU students who are interested in fashion field or are dreaming to be a fashion artist? A. I would like to say that fashion is something that must be done by a person who has great passion. If you focus on the rise of potential problems too much, you will eventually confront only your limitations. Also, it is very hard to survive in the Korean fashion industry because of its small market size. So, you should look into planting your roots in a larger market and think of working globally.